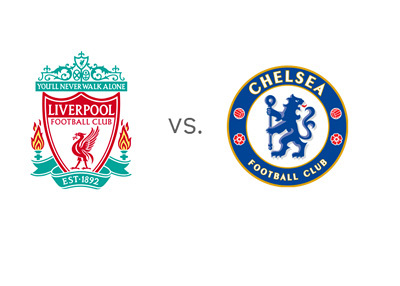 Liverpool host Chelsea in the eleventh round of games in the English Premier League on Saturday, November 8th, 2014. This promises to be a great match! Last time these two teams met, at the end of last season, Liverpool captain, Steven Gerrard, famously slipped, and arguably cost his team the title. Things have changed since then. Chelsea are now a dominant force in the EPL and Liverpool are struggling. Liverpool manager, Brendan Rodgers, is heavily criticised at the moment for playing his B team in the mid-week 1-0 loss vs. Real Madrid in the Champions League. He rested his main players (Sterling, Gerrard, Coutinho, Lovren, Henderson and Balotelli) for the match vs. Chelsea, with the goal of making a run to again qualify for the UEFA Champions League. Liverpool are currently in seventh place in the EPL tables, twelve points behind the leaders, Chelsea, and three points behind fourth place Arsenal. In their last English Premier League game, Liverpool lost to Newcastle United 1-0 away. Chelsea beat Queen Park Rangers 2-1 at home last weekend and then drew with Maribor 1-1 away in the Champions League on Wednesday. Jose Mourinho's side started the year strong, but in their last two games they did not quite exert the same dominant force. With two teams from Manchester struggling so far this season, the Blues are the big favourites (1/3) to win the league. But first things first, they will have to put in a big performance at Anfield. Chelsea are the favourites to win. It will be an interesting game. Can Liverpool put the poor start of the season behind them and get a result here, or will the efficient Chelsea side get the job done and make further progress at the top of the Barclay's Premier League tables?